Rock This Testimony; Kamilah Simone is Alive and Living Her Story Out Loud. 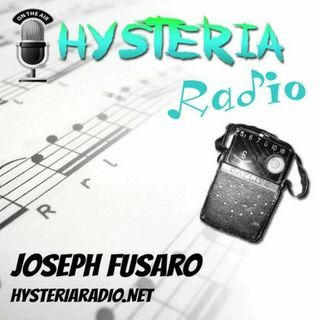 Author, Poet, and Performer Kamilah Simone comes by Hysteria Radio to talk with Joe Fusaro about how she has always used writing as an outlet, and now performs her poetry to help others heal. She also gives us a live performance from a new project that she is currently working on. Give it a listen and prepare to feel inspired. Kamilah Simone is so much more than a person living with a mental illness. She is a daughter, sister, and a friend among other things. She is also a poet. Her ... See More rants and musings can sometimes be found on www.poetsimone.com. She is a bit of a wanderer who enjoys cooking and being outside under the blazing hot sun or bright moon and stars. She has two poetry projects in the works, so be on the lookout for "testimony" and "Simone: Out Loud". You can also find Kamilah's poetry in the book, "Stars: A Collection of Poetry" on Amazon http://a.co/eF7kO616781, and you can view her live performance of "Rock This Testimony" on This is My Brave's Youtube channel.